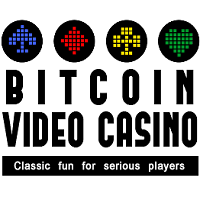 Bitcoin Video Casino solely uses the crypto-currency BTC. They offer anonymous and instant registration, and feature several popular games. Their game style is inspired by the classic Video Poker machines in Las Vegas. 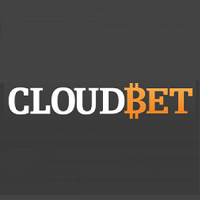 You can play with trust from your tablet or smartphone at this provably fair gambling site, on a smooth Android app. 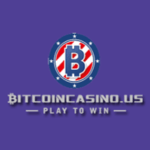 No Registration Required, no e-mail address required, just deposit and play. Option to choose a nickname that other players will see when you win big hands, is available but that’s up to you. 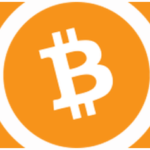 Instant withdrawals and deposits: Simply send your bitcoins to the address provided and start playing promptly. Casino games and house edge: Jacks or Better video poker – 0.24%, blackjack – 0.4%, roulette – 0.5%, craps – 0.2%, keno – 0.5%, slots – 0.5%, dice – 0.5%. All games have a progressive jackpot that increases with each game played, regardless of win or lose.